This is from Friday’ CBS This Morning Show, during which Organizing for Action chief Jim Messina was questioned about OFA’s policy of putting contributors who give $500,000 on an “advisory board” that meets quarterly with Obama. Actually, the questioning was so lousy that he wasn’t exactly asked about that. Host Norah O’Donnell cites a $50,000 ticket to meet with Obama, but all that gets you is . . . Messina. Nevertheless, I thought Messina’s effort at obfuscation was still sufficiently interesting that you would want to take a look. Obama Campaign Manager Jim Messina sent out an email list night warning supporters that Wisconsin Rep. Paul Ryan represents “real danger” to Obama’s reelection prospects, begging for donations of “$5 or more” to combat the peril. The note, sent to supporters who had not yet contributed to the campaign, was designed to leverage fear over Ryan’s ties to big ticket conservative donors into more cash for Obama. Mitt Romney is convinced that picking Paul Ryan is a great investment for him. If you sense of note of frustration in the missive, remember that the Obama campaign is badly trailing Mitt Romney’s operation in fundraising, and its allied SuperPacs are being swamped by rivals on the right. The Obama campaign appears to have done away with the demands for $3, upping its minimum request by two bucks. Ryan indeed is one of the best fundraisers in the House, and his donations include money from ideologically motivated conservative donors like the Koch brothers. But the notion that Ryan could bring in “hundreds of millions more dollars” than Romney and his allies would otherwise have collected is probably fiction. And the email is a sure sign that the Obama campaign will open a new avenue in its attacks on Ryan, seeking to tie him to “sinister” wealthy conservatives. The Obama campaign today announced that it is primed to begin taking apart Wisconsin Rep. Paul Ryan, who was named by Mitt Romney today to be his vice presidential running mate. In an email to supporters, Obama campaign manager Jim Messina indicated the Obama campaign will immediately go negative in an attempt to define Paul Ryan before Ryan gets to define himself for the nation. Our job is to make sure Americans know the truth about what Romney’s choice says about him as a candidate and leader. Messina offered up a flavor of what’s to come, attacking the House Republican budget authored by Ryan as a “radical” document aimed at assisting the rich. The Obama campaign has spent weeks lodging similar attacks – some far more personal in nature – against Romney himself. The Obama Campaign today admitted that the Mitt Romney outraised President Obama by some $17 million last month. In an email to supporters with the subject line “We got beat,” Obama Campaign Manager Jim Messina acknowledged the obvious and asked for more money. And of course, he showed all the usual graciousness of the Obama crowd. We don’t have the special-interest and high-dollar donor advantage that Romney has. Barack Obama has you, and we are bound and determined to fight back on behalf of a country where everyone gets a fair shot and a fair shake. AWWW, you’re breaking my heart. What Messina leaves out is that the Obama campaign got beat at the very same game it won in 2008. Messina wants people to think that Romney’s fundraising is somehow related to the unlimited donations given to PACs, but it’s just the same equal playing field of limited candidate and Party donations on which Obama destroyed McCain four years ago. The problem for the Obama campaign is not, in this case, that there’s more fat cats in the game than in 2008. It’s that there’s more enthusiasm on the Republican side. This is actually very dishonest, even for politics. The sentence above clearly suggests that 98 percent of the money received by Obama came from people giving less than $250, which is untrue. Actually, 98 percent of the donations made were for $250 or less, which is what you get when you are constantly auctioning off a meal with the president for $3. Plenty of Obama’s money still came from evil rich people. By comparison, 93 percent of Romney’s donations were for $250 or less. From the beginning we’ve built this campaign together, from the bottom up. More people giving a little bit is the only way to compete with a few people giving a lot. By touting what it claims is its army of poor people, the Obama campaign is trying to make sweet Riesling out of its sour grapes. In reality, it desperately wants more money from the wealthy, but it’s not getting what it had hoped. Perhaps if Obama had succeeded in improving the economy, those who work their asses off and make a lot of money would give him more of what they’ve earned. Maybe even if he’d just stop vilifying the rich and dissing the conduct of capitalism he get more from the well heeled, even in the Obama economy. Obama 2012 Campaign Manager Jim Messina derided at millions of Republican voters Wednesday, using the condescending phase “far-right Tea Party types” to describe those who back the mainstream conservative movement. That the chief of Obama’s reelection effort, also a former close White House adviser to the president, holds contempt for millions of U.S. citizens is likely an indicator of how others in the Obama camp, and perhaps the president himself, view conservative voters. Messina’s nasty aside was included in an email to Obama backers in which he raised the specter of Tea Party donations to Mitt Romney and urged Obama’s minions to counter by sending their own money to the Obama campaign. It’s also clear that there’s lots of money to be raised from far-right Tea Party types appealing to a very personal dislike of Barack Obama. When Romney tells a reporter that we need a president “who believes in American principles” or that President Obama will be just a “footnote in history,” that’s who he’s talking to. While it is not rare for political campaigns to attack each other’s candidates, the example of a campaign chief, particularly one close to the president, insulting large swaths of the populace is something unusual. Both titles presumably refer to Obama, not Romney! In 2008, America elected Comrade Obama. He promised to spread the wealth around, to raise taxes on the Kulaks, to usher in hope and change and to improve the condition of the common man. He’d create universal health care and save the environment. Forget all that. The economy is not doing well. The environment for polar bears may be getting better, but the environment for doing business is not. Obama has even failed to raise the landed gentry’s taxes. And it turns out you don’t want universal health, you ungrateful masses. So in 2012, you’ll be asked to vote not for Comrade Obama, but Commander Obama. Though he’s short circuiting his success by bringing the troops home too soon, the president’s surge in Afghanistan has produced some positive results. And of course, he’s killed Bin Laden, with some help from military and espionage capabilities developed by George W. Bush. And now, you’re going to hear about it. “We pummeled al Qaeda. 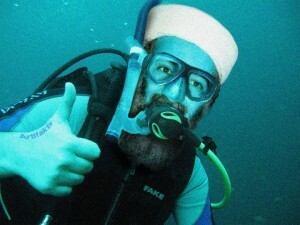 We took out bin Laden,” Obama announced at one fundraiser in New York City last night. “We brought the Iraq War to an end, and we’ll have all of our troops out by the end of this year,” he declared at another. Well, in Iraq, he’s basking in a a successful surge there by Bush that he opposed, but hey, the man was on a roll. And at 1:23 am this morning, 2012 Obama campaign chairman Jim Messina was nice enough to get in touch to remind me of Obama’s martial success. The President’s address marks a major turning point in a nearly decade-long conflict. He announced his plan to start withdrawing our troops from Afghanistan next month, fulfilling a promise he made a year and a half ago to begin the drawdown this summer. As President Obama decisively concludes two long-running wars, he is refocusing our foreign policy to more effectively address the threats we face and strengthen America’s leadership in the world as we do. Quite an irony. The community organizer will be running in part as Dwight Eisenhower. If he finally kills Qaddafi, lookout!